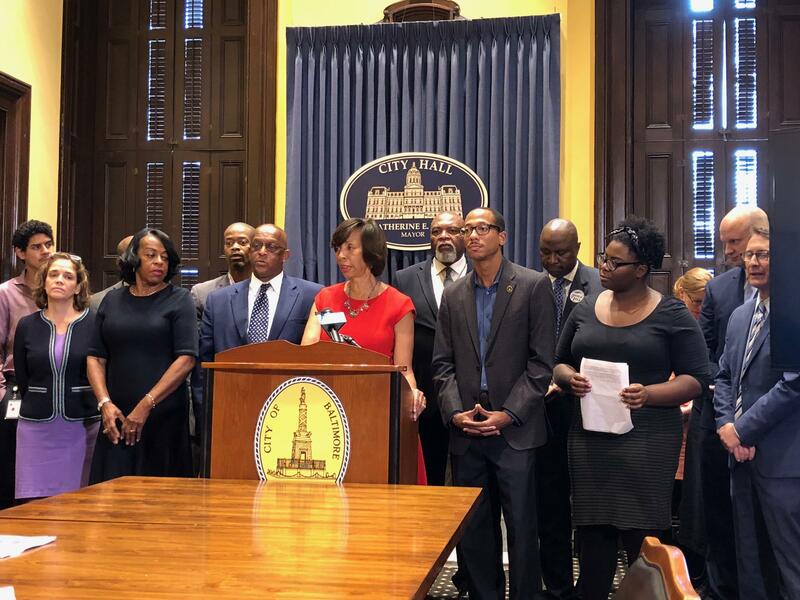 Mayor Catherine Pugh announces the $20 million Affordable Housing Trust fund along side Council President Jack Young, and Councilman John Bullock on Wednesday. Baltimore Mayor Catherine Pugh promised during her campaign to put $20 million a year by 2023 into a trust fund to pay for tearing down abandoned housing, creating affordable housing and subsidizing rentals for low income city residents. But critics at a well-attended City Council committee hearing Thursday sharply questioned whether the city would be able to fully fund what the mayor calls an “affordable housing trust fund.” Morning Edition Host Nathan Sterner talks with Reporter Dominique Maria Bonessi to iron out these concerns. NATAHAN: Let’s start with this. There’s a bill to create this trust fund. Where would the money come from? DOMINIQUE: The money would come from transfer and recordation taxes on sales of properties worth $1 million and up. Bob Cennamy, the city’s budget director, said there are about 24,000 properties in the city that change hands in a given year, generating those kinds of taxes. But only 295 of them are worth $1 million or more, which means the taxes on those properties would only generate between $7 million and $13 million annually? NATHAN: But that doesn’t add up. How does the mayor plan to fill that gap? DOMINIQUE: Pugh says she would back fill with surpluses from the previous year’s budget. NATHAN: And what did the council members think of that? DOMINIQUE: Northwest District Councilman Yitzy Schleifer wasn’t happy. DOMINIQUE: Now typically, transfer taxes and recordation fees go to the city’s general fund, so this trust fund would be coming directly out of that. And councilmembers realized that the number was just part of the bill, that they didn’t know for sure if they would be fully funding the need for affordable housing or not with that $20 million. And just to note, councilmembers learned yesterday from a representative of an affordable housing developer in Philadelphia that that city’s affordable housing fund is chronically underfunded. NATHAN: So potentially starting this trust fund off on shaky ground. What are some of the other concerns about using recordation and transfer taxes as the source of funding? First, the revenue generated from these taxes is very volatile, as I said before it would generate between $7 million to $13 million that’s because it is dependent on the real estate market. DOMINIQUE: And finally, Cennamy said in light of reduced activity in the real estate market this could also have a negative effect on property taxes, income taxes, and the general fund. He warned the council members that the next economic downturn could be painful. NATHAN: So what are some other options for funding affordable housing? DOMINIQUE: According to the Maryland Center on Economic Policy, in addition to transfer and recordation taxes to fund the trust other taxes for revenue streams could be the creation of taxes on new construction, raise hotel taxes, or use tax sale proceeds. But the research says that transfer and recordation taxes generate higher amounts of revenue. NATHAN: What happens from here? DOMINIQUE: The bill will be on second reader at a city council meeting in mid-October, and the council may have to work through a few more issues. 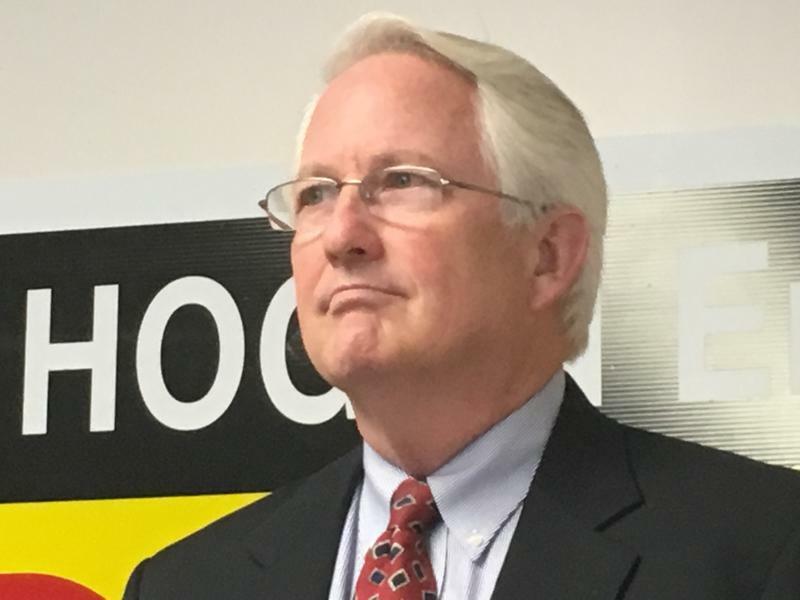 The Republican running for Baltimore County Executive says if elected, he will not abide by a 2016 settlement over affordable housing between the county and the U.S. Department of Housing and Urban Development. The county's role in bolstering affordable housing is a major point of contention in the race.